"Transcend to a Space That Is Beyond Healing and Experience an Alchemical Energy for a New Vitality and Life Force." "I'm tingling and the energy is flowing. Thank you Judy!" "What a wonderful gift you've given us Judy. Amazing, I felt so much love in this last one, from spirit and for all. Thank you so much." "I had so much more energy after yesterdays session, I am looking forward to seeing how today goes. Bring it on! Thank you so much." 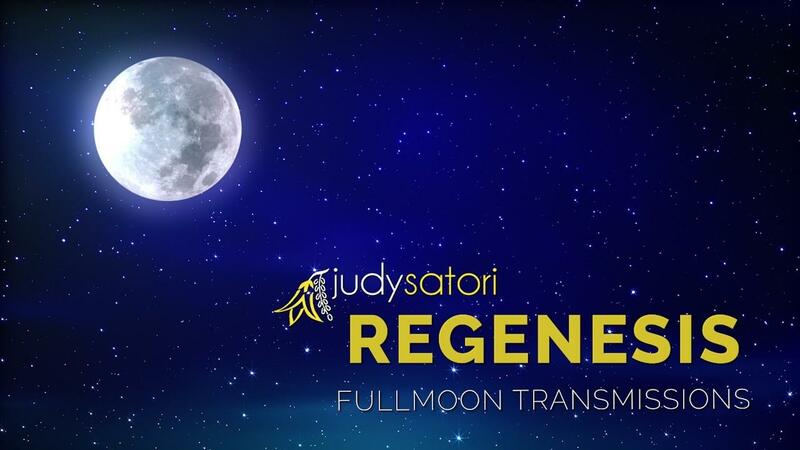 The Full Moon Regenesis Transmissions are designed to accelerate your process of Ascension, Soul Evolution and Human Evolutionary upgrade. The transmissions incorporate sacred science and coded light language in a teaching and meditation to be listened to on the Full Moon and repeated during the following month. However, each of the three parts may also be listened to as desired and are not date sensitive. Included in this offer is a library of the previous Full Moon Regenesis Transmissions that you can access at any time. All you need do is listen.